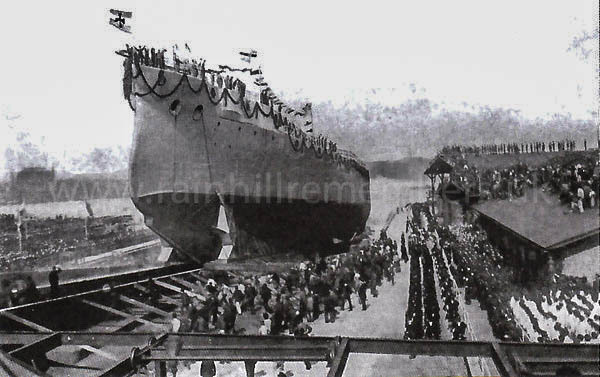 The building of the last armoured cruiser for the German Empire was begun in 1907. In 1908, Evelyn Blucher nee Stapleton-Bretherton was asked by the German Emperor to launch this new war ship to be named SMS Blucher. This was in honour of her husband Gebhard Blucher’s ancestor who commanded the Prussian forces in the Battle of Waterloo, 1815. 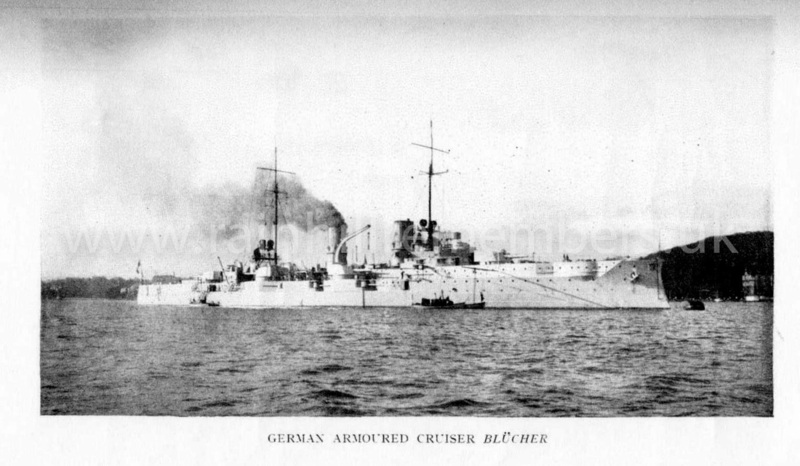 During WW1, SMS Blucher took part in operations by the German navy in 1914 to attack towns on the east Yorkshire coast. At the Battle of Dogger Bank in Jan 1915, the Blucher was hit by gunfire from the British battlecruiser squadron under Vice Admiral David Beatty. Under heavy fire the ship was sunk. 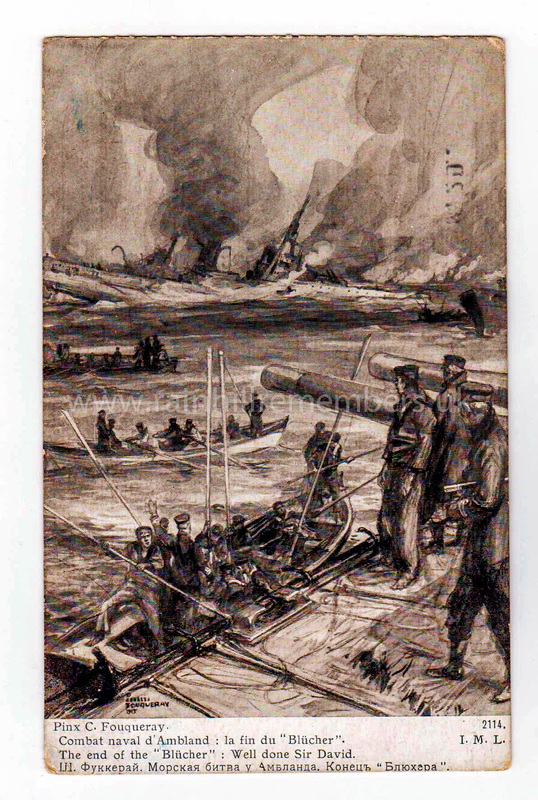 Some of the survivors were rescued but there were many casualties. Gebhard’s Memoirs recalled the sinking of the Blucher “….. no invented co-incidences could be more startling than those of real life. When my wife so proudly christened the Blucher six short years before the outbreak of war no one could have foreseen its dramatic fate..."
Herbert Throckmorton was married to Evelyn Blucher's sister, Ethel.